The component of the "Eco-Mooring System" that brings it all together, allowing for optimum protection of marine wildlife and habitat, is the helix anchor. The superiority of the helix anchors over other types of mooring anchors has been proven all over the world for the last twenty years. 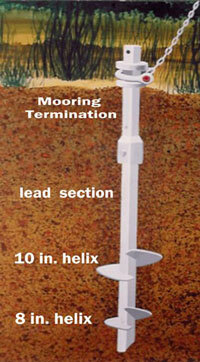 Helix anchors are now used in all corners of the world. They've been tested by boats, large and small, during all sorts of weather events. 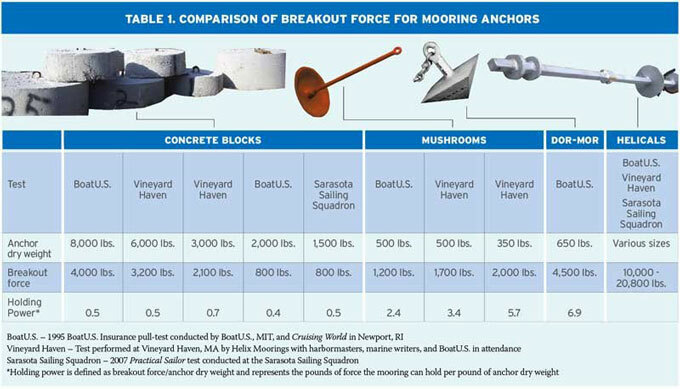 Early in the promotion of helix anchors, organizations such as Cruising World Magazine & Boat Us Insurance conducted tests to compare the holding power of the different types of mooring anchors. 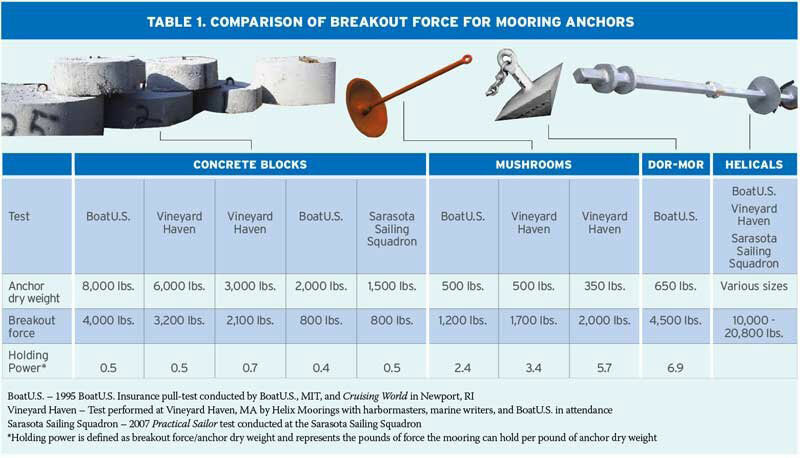 All the tests proved, helix anchors have 4-5 times the holding strength compared to mooring anchor alternatives. In fact, tests have shown that a single, properly-installed helix anchor has the ability to resist the full pulling force of a 800 hp tug boat. Copyright © 2017 Boatmoorings.com. All Rights Reserved.